Hired as DJ for Tasha’s Bat Mitzvah @ the Place Aparthotel in Manchester. Fab 4 star venue that I’ve played at for several events. On this occasion, we were celebrating in the Pennine Suite. They had gone for a movie theme which included a ‘Hollywood’ back drop, up lighters, lifesize cut out figures of various characters from Harry Potter, Star Wars & the like as well as a photo booth, using green screen to add a Hollywood background. 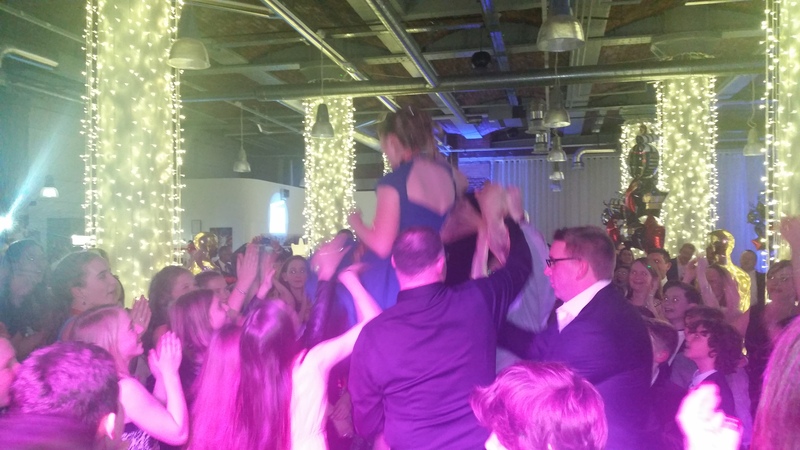 As well as the modern chart & party hits, I also carry a collection of traditional Israeli music for dancing too, usually at the start of the evening, getting everyone to join in & usually involves getting the hosts up in the air on chairs! As well as my DJ services, I can also provide various other related services/products which are popular for these celebrations including; back drops, up lighters, photo booths, dance floors, staging, venue dressing/chair cover hire & help supply live music/entertainment. ‘throwouts’ are also really popular such as inflatable saxophones, guitars, microphones, glow sticks, & various novelties. Please mention on your enquiry, the date of the party, the venue, approx. timings & any other services you may be interested in.